India accuses Pak of misusing ICJ for propaganda in Kulbhushan Jadhav hearing. India accuses Pak of misusing ICJ for propaganda in Kulbhushan Jadhav hearing. India accuses Pak of misusing ICJ for propaganda in Kulbhushan Jadhav hearing. 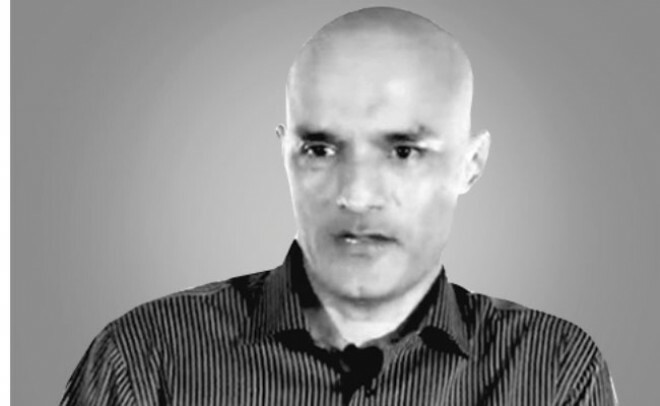 New Delhi, Feb 18: India on Monday accused Pakistan of misusing the International Court of Justice for propaganda as the top United Nations court began a four-day public hearing in the case of Kulbhushan Jadhav sentenced to death by a Pakistani military court on charges of espionage. India, during the first day of the hearing, based its case on two broad issues breach of Vienna Convention on consular access and the process of resolution. "It is an unfortunate case where the life of an innocent Indian is at risk," ex-solicitor general Harish Salve, who was representing India, said. "Pakistan's story is solely based on rhetoric and not facts," he said, adding that Jadhav's continued custody without consular access should be declared unlawful. "There is no manner of doubt that Pakistan was using this as a propaganda tool. Pakistan was bound to grant consular access without delay,"
He said India had sent 13 reminders to Pakistan for consular access to Jadhav, but Islamabad is yet to accede. Pakistan claims that its security forces arrested Jadhav from restive Balochistan province on March 3, 2016, after he reportedly entered from Iran.